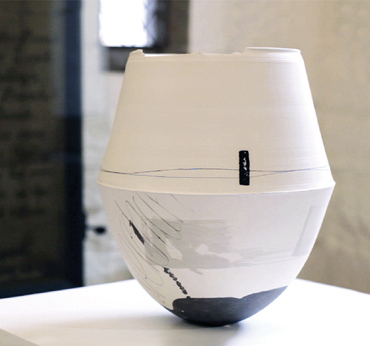 Hannah Tounsend is the Winner of the LSA Student Award 2015 with her porcelain print vessel and monoprint Traversing the Line, which are on display in the LSA Annual Exhibition 2015 at New Walk Museum & Art Gallery from 6 November 2015 to 9 January 2016. 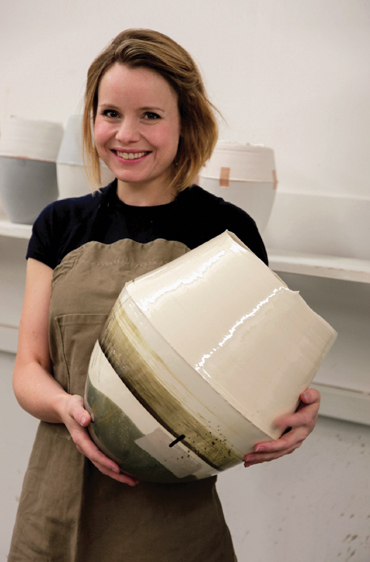 "My ceramic vessels are inspired by the British shoreline and are heavy with the banding of this tiered landscape," says Hannah. 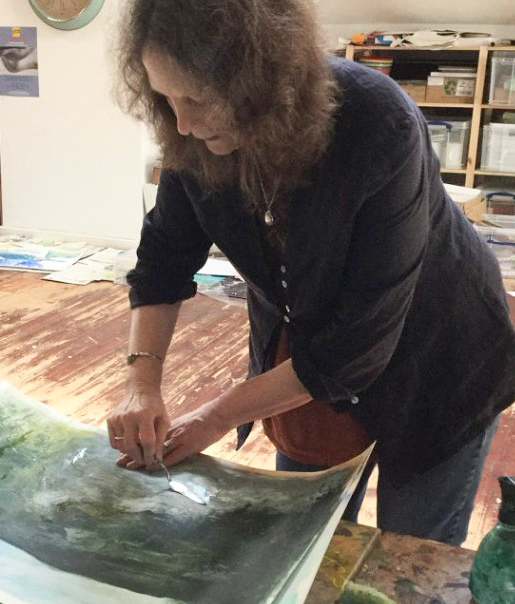 "The static, cast portions of my pieces are representative of solid land; the flowing, thrown section a liquid tide. 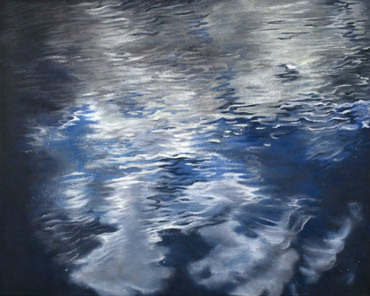 In this way the horizontal boundaries within my vessels echo and resonate with the elemental strata of the coast." There is a continuous link in Hannah's work with erosion and the remaking of the coastline. 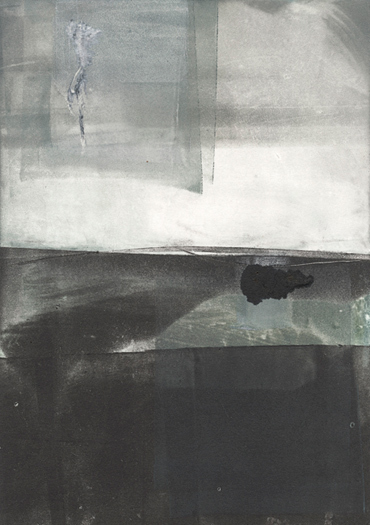 Marks, lines and washes of colours are built up, cut through and dissolved away, the layers and repeated working of marks on her vessels and monoprints explore the sea-washed, weatherworn surfaces of the coast. 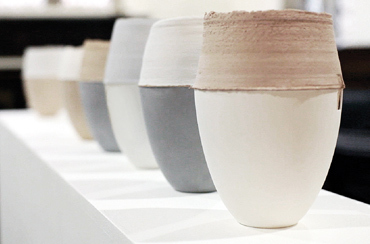 The vessels themselves are made with time-consuming methods, building layers of printed, poured and painted casting slips, overlaying colours on the porous surface. 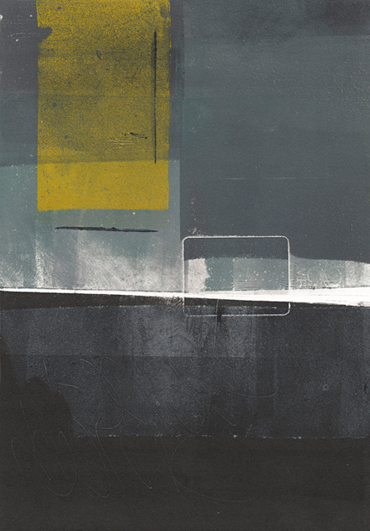 Scroll down to see more images of Hannah Tounsend's work. 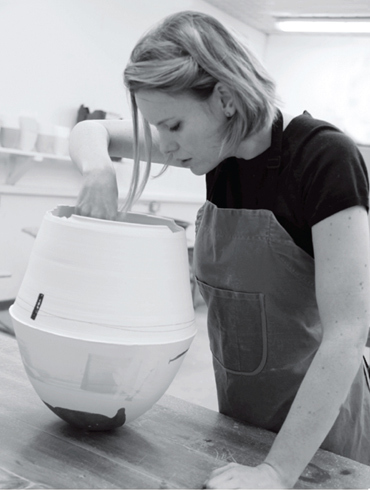 Hannah Tounsend is taking part in FRESH 2015 at the British Ceramics Biennial, showcasing the most promising graduate talent from across the ceramic disciplines. 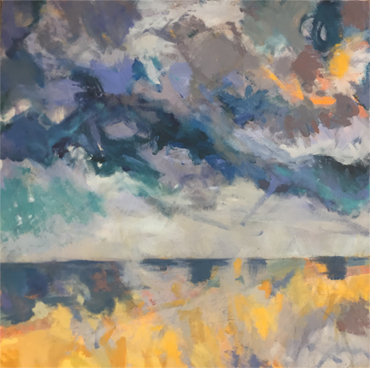 She won the 'John Lewis Loves' commendation at New Designers show 2015 and her work was selected alongside 13 other new artists for the Class of 2015 exhibition at the National Centre for Craft and Design. 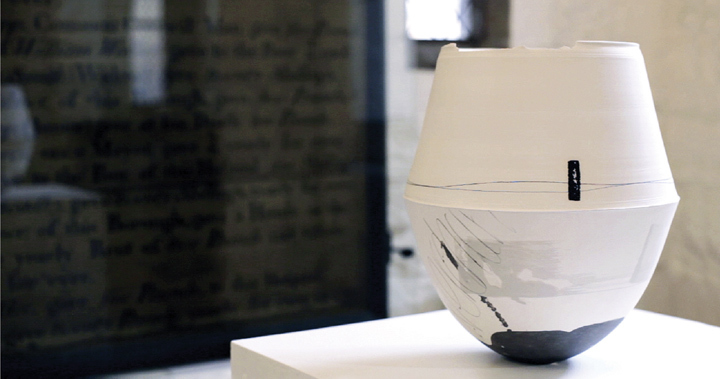 She participated in The Great Northern Contemporary Craft Fair in 2015 in a curated display of graduate work, where her ceramics were chosen for the 'Showcase Award' by the Snug Gallery with a forthcoming exhibition in the gallery in Hebden Bridge. 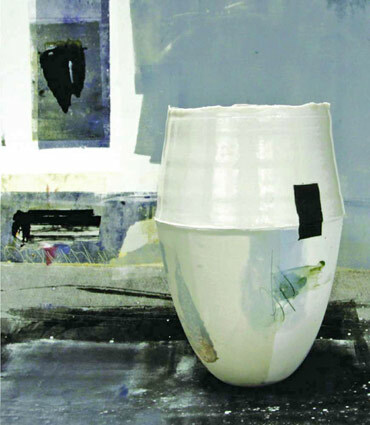 Hannah completed her MA Fine Art by Independent Study ‘An Exploration of the Ceramic Surface’ with a Distinction from De Montfort University in 2015. She works at De Montfort University part time as a technical instructor in ceramics. 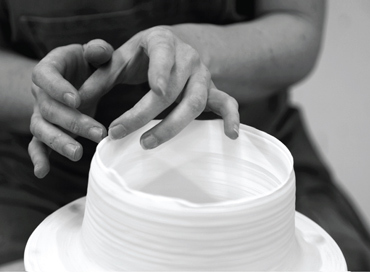 She is currently building relationships with galleries and so aims to find a place for her work within the contemporary crafts sector from 2016.